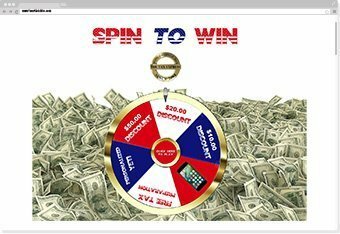 Our Virtual Marketing Games for Websites, Facebook Page, Point of Purchase Counter, Trade Show Booth and or Mobile Phones. Load the game with your choice of coupons or prizes, and quantities, then engage! Optionally build your email list, phone number list, likes list, dislikes list, and more. Improving business with every engagement. 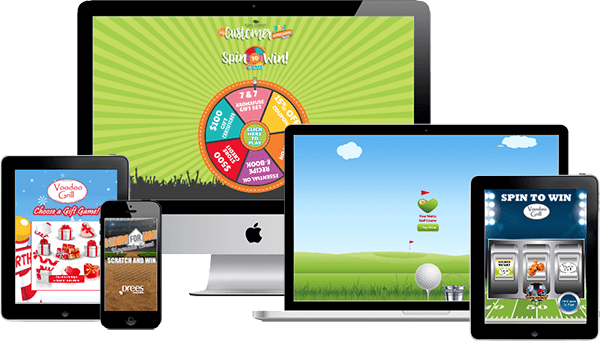 This fun, interactive game will make both you and your customer’s winners! You have complete control! Every game is fully branded! You get complete control of the prize, coupon, and points distribution. You may also collect data for lead generation, use a play code to only allow restricted players to avoid abuse of use. We also provide Fraud Protection for the protection of your game from abuse use of play rules. Exciting features include sending players an email or SMS. Automation of data to over 500 online applications using Zapier. You also have the option to put a unique code number or barcode into every email and lots of other things. Contact us for marketing game ideas for your website, social profile and more. Below is a Live Demo!! Press the play button and experince it live. Click the Purple screen to start!